Our customer based in Chislehurst BR7 had an issue with local children knocking on her door and running away. We decided that the higher end Hikvision turrets which feature line crossing would be the best solution. 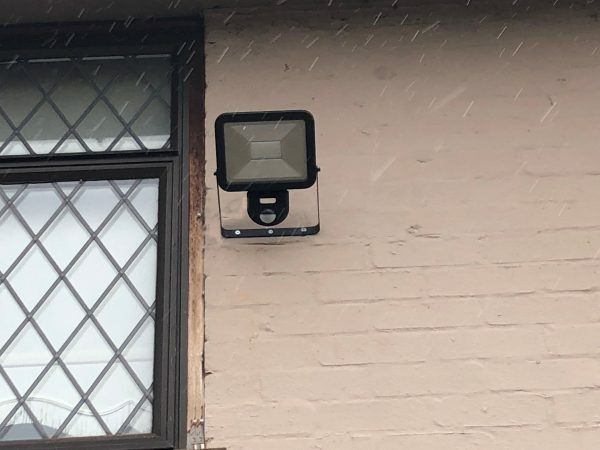 We also replaced an old security light with a new economical 30W LED system with built in PIR sensor so that anyone on the driveway after dark would trigger it. 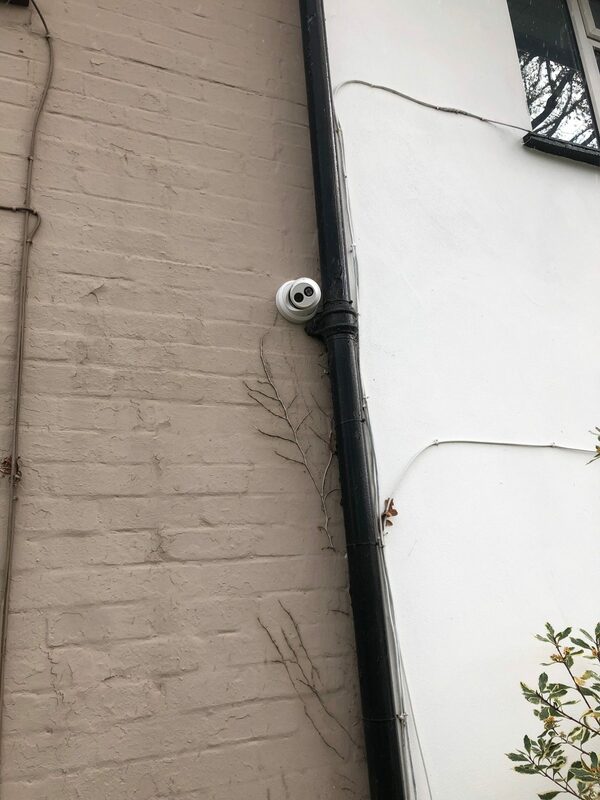 We installed the 4MP CCTV Turret next to the drainpipe so that cables were invisible. The cable was drilled into the property behind the TV where we connected it with a HDMI cable. We used TP Link Powerline adapters to send the internet to the router which was the other side of the room. We set up 2 Smart Phones with the HikConnect app which sent through notifications when someone walked across the driveway line we installed.